517 creations: The Project House...Upstairs. 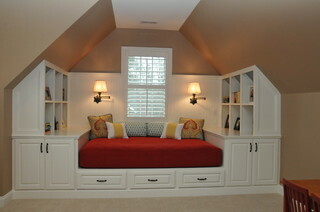 At the top of the stairs you'll find a great second living area. 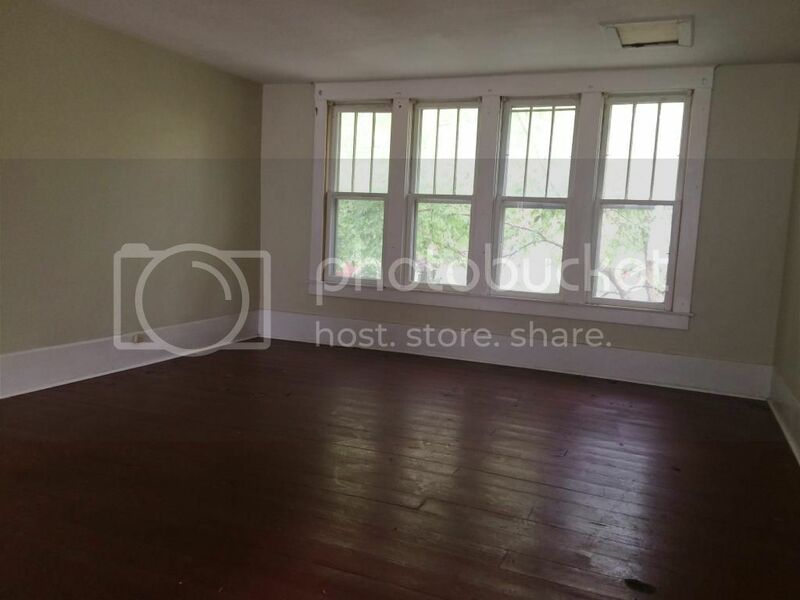 I can picture furnishing this room with some comfy furniture and turning it in to a cozy spot for hanging out with family. 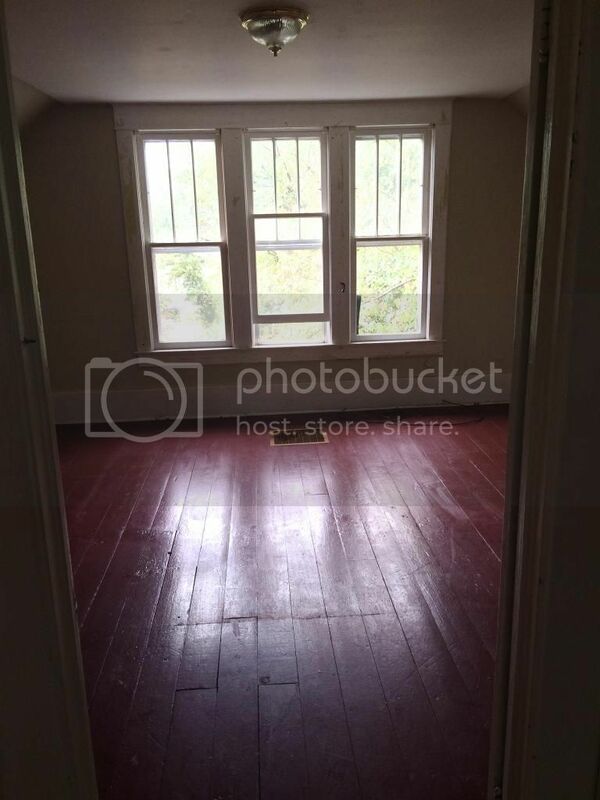 The wide-plank wood floors are painted a dark red right now, which I actually like. We will probably carpet the upstairs to warm it up a bit. I wish I had better before pictures of the rooms and bathroom, but I was just trying to snap them as quickly as I could and get. out. of. the. smelly. house. The bedrooms are on the front and back side of the house and are identical to each other. Both have more of those gorgeous windows which let in the best natural light. 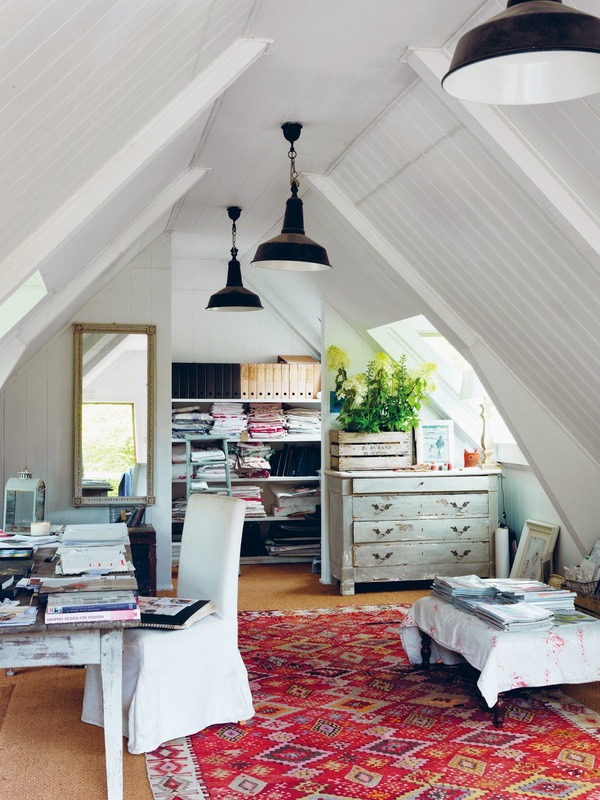 The ceilings are gabled in both bedrooms, which I love! 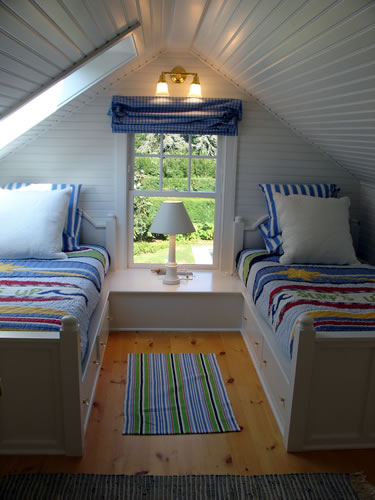 There are closets in each gable that are a great size. We are actually painting and carpeting the closet so they can be used as good storage or a great "hiding spot" for kids. 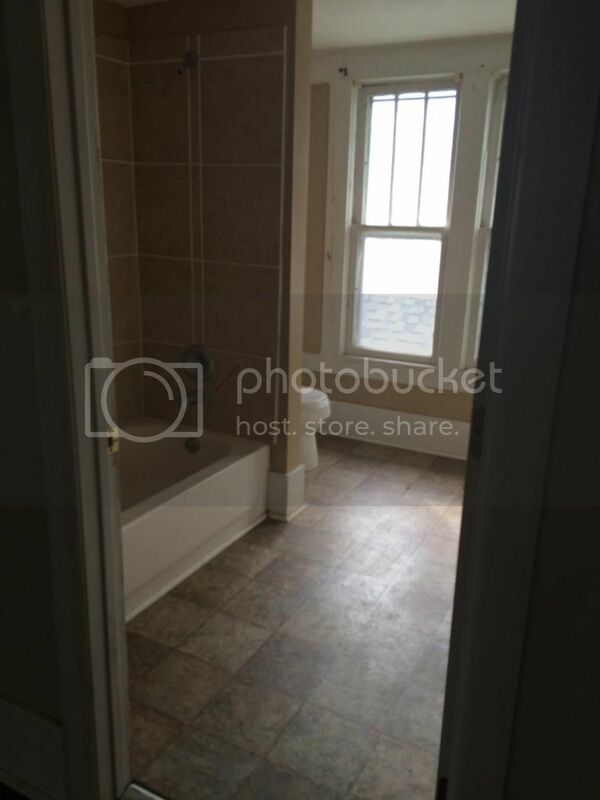 The upstairs bathroom is a great size for a family to use. More of those great, old windows and beautiful trim. 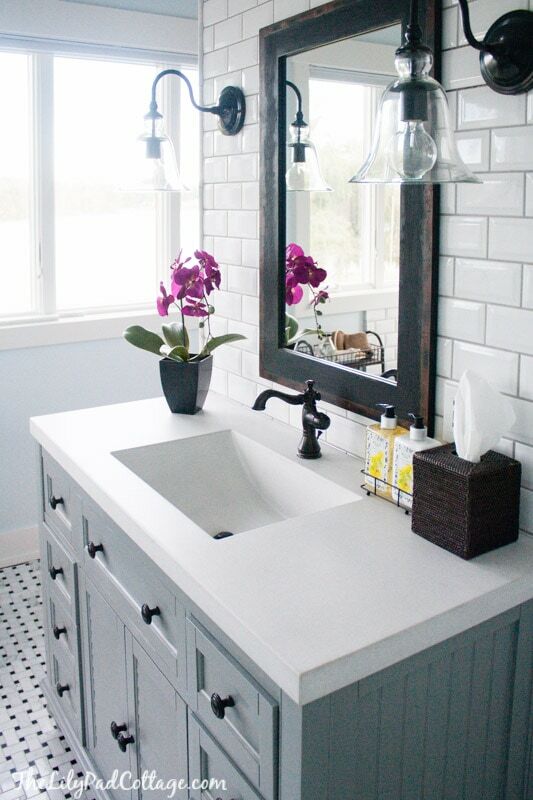 I love, love, love cottage bathrooms and would love to totally overhaul this bathroom to reflect the Craftsman cottage nature of the house...if only we were moving into The Project House! 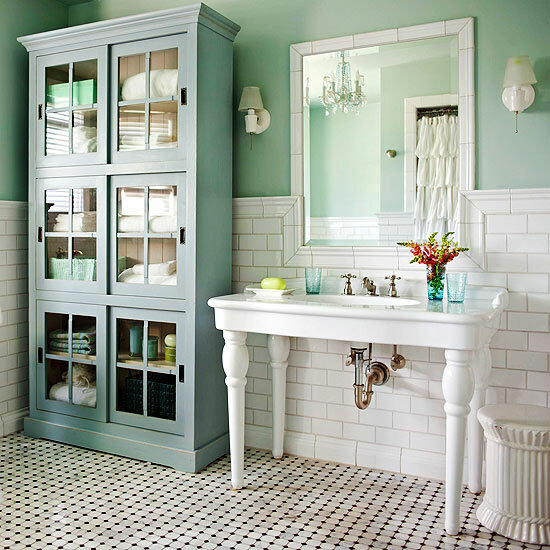 This bathroom will get a fresh coat of paint and a new tile floor. Those are all of the before pictures! There have been so many changes in The Project House over the last month...I can't wait to post pictures.